Last fall my colleague Trevor Fraley and I worked with Cosmo DeNicola and his team at Cosmo Denicola Companies to create a dynamic illustration that tells the story of the companies and their work in the world. It was an exciting project that allowed us to stretch in our practice, going deeper in process and partnership. Cosmo DeNicola Companies is a privately held holding company with a diverse portfolio of businesses ranging from healthcare, technology, publishing, professional sports, and entertainment — and diverse set of humanitarian interests including cultural diplomacy, world health and humanitarian recognition. The firm is headquartered in Philadelphia, PA and led by serial entrepreneur, Cosmo DeNicola. In late summer, Trevor and I met virtually with Cosmo and his team, which included his daughter, Morgan DeNicola, who leads much of their humanitarian work. They had seen a live graphic recording that I did for one of Dr. Klasko’s presentations hanging in his office and were intrigued about the possibilities for telling their own story. They wanted an illustration that gave a “visual tour” of who they are; about the businesses and philanthropic work, how they are unique, yet connected, and the impact they have in the world. Although we had access to all the information we would need to create a basic organizational chart, Trevor and I hoped to gather stories from individuals that would breathe vitality into the graphic. We found a number of ways to get rich information and connect the dots. There was considerable video footage available. We had access to over 30 videos and hours of material about the companies’ work and its roots, all of which helped us paint the context and understand the basic story arc. The real opportunity was being able to do one-on-one interviews over the phone with important associates and friends of the businesses. We developed interview questions with Cosmo and his team, aiming our focus on appreciative stories about the businesses and charitable work. We enjoyed this new way of working and learned quickly that the most fruitful interviews were those in which interviewees branched off into whatever stories they wanted to tell us: often, the stories that inspired them the most. Nevertheless, almost everyone brought up the same three themes; passion, an appreciation for diverse perspectives and experiences, and love and commitment to family. Those themes guided us and all became incorporated into the final design. The history, outlook and areas of work were made clear through video footage and with conversation with Cosmo and his team, while the one-on-one interviews narrowed our focus and imagery. While it became clearer which distinct themes we wanted to communicate, we wanted to present at least two different drafts to the team. Once we had determined our organizing principles, we drafted designs individually, in our own unique styles. The result was that one version was clearly more analytical, like an infographic. The other was evocative of the stories that were told, and more expressive overall. They both had unique merits. We all met again in person and looked over the concepts as a group. We found ways to incorporate the best elements of both examples into a next draft. A dynamic illustrated frame occupies the outer edges of the illustration. Different areas of work intentionally defy or encroach upon the boundaries of the outer frame as if attempting to reshape it. The main narrative lives within a rounded inner frame, vaguely suggestive of a heart. It’s boundaries and shape are created by the sweep of the vortex of amazing life activities, a cyclone that blows through the landscape of the illustration and the work of the companies. At the suggestion of Cosmo, we added the Love statue, which ties the story to the city of Philadelphia. The image in the corner is based on a real photo of Cosmo DeNicola and his wife, Janet. “Passion” is at the core of the illustration but also the core of the companies. The spelling of core as c-o-r-r denotes the origins of the business in paper and packaging. With more time to listen, design, and work in partnership with each other and the client we were able to create an image with more layers of meaning. Cosmo DeNicola Companies can use the graphic to walk new partners, colleagues and guests through a visual tour of their work at their offices. They are also able to use the illustration and any of its component parts on stationary or any other merchandise. We were thrilled to have this opportunity to stretch in our practice and hope that the CDC will use the illustration for years to come. Sony Pictures Television and Chicken Soup for the Soul Entertainment Form Joint Venture "Crackle Plus"
Sony Pictures Television ("SPT") one of the television industry's leading content providers, and Chicken Soup for the Soul Entertainment, Inc. ("CSS Entertainment") (Nasdaq: CSSE), a fast-growing media company building online video-on-demand ("VOD") networks that provide content for all screens, today announced the signing of a definitive agreement to establish a new streaming video joint venture to be branded "Crackle Plus". SPT and CSS Entertainment will each contribute certain assets to establish Crackle Plus and position the new company as a leading AVOD streaming platform. Each company plans to bring its respective audience and its video-on-demand and content expertise to the joint venture. SPT's contributions to the joint venture include Crackle's U.S. assets including the Crackle brand, its monthly active users and its ad rep business. SPT and the joint venture will also enter into a license agreement for rights to popular TV series and movies from the Sony Pictures Entertainment library. In addition, New Media Services, a wholly-owned subsidiary of Sony Electronics Inc., will provide the technology back-end services for the newly formed joint venture. Ownership of Crackle's original content library will be retained by SPT but will be made available for licensing to the joint venture. CSS Entertainment plans to include in the joint venture six owned and operated AVOD networks (Popcornflix, Truli, Popcornflix Kids, Popcornflix Comedy, Frightpix, and Espanolflix) and subscription video-on-demand ("SVOD") platform Pivotshare. 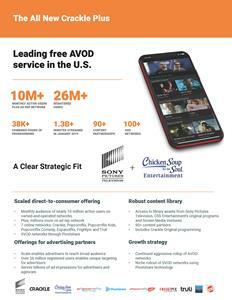 - A combined audience of nearly 10 million monthly active users on its owned and operated networks, as well as millions of additional users from its ad rep business, positioning it as one of the largest AVOD platforms in the U.S.
"Crackle is a valuable asset and we feel confident it will thrive and grow in this new environment with CSS Entertainment," noted Mike Hopkins, chairman of SPT. "We were drawn to CSS Entertainment as our partner in this venture because of its aggressive, entrepreneurial approach," said Hopkins. "The CSS Entertainment team have the enthusiasm and strong business acumen to ensure Crackle Plus is poised to maximize the growing opportunities in the AVOD marketplace." "This transaction positions CSS Entertainment as a leader in the high-growth AVOD business," said William J. Rouhana Jr., chairman and chief executive officer of CSS Entertainment. "Creating a new platform that brings together CSS Entertainment's VOD assets with SPT's Crackle brand and AVOD assets, establishes a compelling offering for viewers and advertisers. Consistent with our business plan, we plan to build Crackle Plus aggressively and profitably through organic growth and, potentially, acquisitions." AVOD streaming services like Crackle Plus are growing in popularity with consumers. With the expansion of smartphone adoption and the explosive growth of content consumption on mobile devices, the number of non-pay TV households in the United States reached an estimated 24.9 million in 2017 (Rapid TV), and the number of cord-cutters is projected to grow to over 55.1 million by 2022 (eMarketer). "With the increased demand for free online video content as well as a need for advertisers to reach consumers, AVOD networks such as Crackle Plus are positioned for substantial growth," Hopkins noted. Under the terms of the agreement, CSS Entertainment will own the majority interest in the joint venture. Additionally, SPT will receive four million five-year warrants to purchase Class A common stock of CSS Entertainment at various prices. The addition of the Crackle assets is expected to more than double CSS Entertainment's overall revenue and add meaningful EBITDA. Ladenburg Thalmann & Co. Inc., a subsidiary of Ladenburg Thalmann Financial Services Inc. (NYSE: LTS) acted as sole advisor to CSS Entertainment in this transaction. Moelis & Company LLC acted as exclusive financial advisor to SPT in connection with the transaction. Members of the Board of Directors and Staff of The Humpty Dumpty Institute traveled to the United Arab Emirates February 24-28 to discuss cooperation with Emirati humanitarian and academic institutions. Dr. Al Khalafalla, Chairman of the Board of Directors of HDI, led the delegation which included Board Member Mark Epstein, Associate Member Morgan DeNicola, Executive Director Joseph Merante, and Director of HDI's Higher Education Alliance Steve Ginther. In addition, Mr. Thorsten Jelenik, Director of the European Headquarters of The Taihe institute participated as a representative of HDI's Board Members based in China. The delegation had meetings in the Emirates of Dubai, Sharjah, and Abu Dhabi. On February 25, Dr. Khalafalla signed a Memorandum of Understanding on behalf of the Humpty Dumpty Institute with His Excellency Saif al Shehhi, the Founder and Director of Peace Without Limits. HDI will collaborate Peace Without Limits strive for its goal of fostering dialogue among different cultures, raise the awareness of the importance of interreligious dialogue, and develop educational programs which lay the groundwork for informed global citizens. Peace Without Limits has offices in Washington, D.C., Geneva, Switzerland, Sharjah (UAE), and Kampala, Uganda. Chicken Soup for the Soul Entertainment, Inc. ("CSS Entertainment") (Nasdaq: CSSE), a growing media company building online video-on-demand ("VOD") networks that provide video content for all screens, today announced the appointment of three leading industry executives to CSS Entertainment's rapidly expanding business units. Philippe Guelton has been named executive vice president of Chicken Soup for the Soul Entertainment, and president of VOD networks. David Fannon has been promoted to executive vice president of distribution for Chicken Soup for the Soul Entertainment, and president of Screen Media. George Lansbury has been named executive vice president of content strategy for Chicken Soup for the Soul Entertainment, and president of Chicken Soup for the Soul Entertainment originals. "The entertainment industry continues to evolve. As consumers look for new ways to find the content they enjoy, Chicken Soup for the Soul Entertainment is uniquely positioned to benefit from this evolution," commented William J. Rouhana, Jr., chairman and chief executive officer. "We have created our own ecosystem to produce and distribute content both on a business-to-business basis, as well as directly to audiences. This structure creates logical homes for our content brands like A Plus, Popcornflix, and Truli, as well as future companies. Just as importantly, this structure will help us lower our costs to acquire customers and will allow us to operate more efficiently. Recruiting Philippe Guelton and George Lansbury to CSS Entertainment is a noteworthy achievement, speaking to the progress we have made. We are also particularly pleased to announce the promotion of David Fannon, who has proven his value to our organization. We have set the stage with the team to meaningfully accelerate our growth in the near-term." As the president of VOD networks, Mr. Guelton will oversee all of CSS Entertainment's properties that monetize video content directly to audiences. This will enable the company to improve efficiency and flexibility by consolidating all VOD operations including Pivotshare, Popcornflix, and Truli, and lay the groundwork for future acquisitions. Mr. Guelton was formerly the chief executive officer at SheKnows Media (now She Media), a mission-driven digital media company with a reach of 60+ million monthly unique visitors and over 350+ million social media fans. Penske Media Corporation acquired SheKnows Media in 2018. Previously, Mr. Guelton served as president of Thrillist Media Group, a leading men's lifestyle digital brand now part of GroupNine. Mr. Guelton was also chief operating officer at Hachette Filipacchi Media U.S., where he oversaw print and digital platforms for brands such as Elle and Woman's Day. Prior to that, he led the acquisition and was the chief executive officer of Japanese publishing company Fujingaho (now part of Hearst). "Philippe is the right leader for our online networks business, bringing a wealth of experience and a diverse history of growing and profitably managing leading media properties," said Elana Sofko, chief operating officer. "Philippe's extensive media background and business acumen will help us significantly accelerate the growth of our VOD networks business, and expand our overall media business portfolio." "CSS Entertainment has quickly positioned itself in the VOD space with six owned and operated advertising VOD networks (Popcornflix, Popcornflix Kids, Frightpix, Popcornflix Comedy, Espanolflix, and Truli) as well as its subscription VOD technology platform Pivotshare, serving paid video subscribers across hundreds of independent channels," said Mr. Guelton. "I am very excited to join a talented team to drive growth, both organic and external, through the constantly disruptive and evolving media ecosystem." David Fannon, currently president of Screen Media, assumes leadership of all of CSS Entertainment's distribution and content acquisition initiatives. He first joined Screen Media in 2005 and over the course of his 14-year tenure, Mr. Fannon has been intimately involved with the growth and expansion of Screen Media from a home video company to a truly digital pioneer. Screen Media acquires the rights to TV series, films and other video libraries, and monetizes these assets by licensing those rights to companies that deliver video to their own audiences. The team sells the content worldwide across a comprehensive range of video platforms, including theatrical releases, cable TV, local TV, digital platforms, DVDs and CSS Entertainment's own VOD/Online Networks. In addition to his role as president of Screen Media, Mr. Fannon has recently been named executive vice president of distribution for Chicken Soup for the Soul Entertainment. Prior to joining Screen Media, Mr. Fannon spent nearly a decade on the legal team at A&E Television Networks where he oversaw all business affairs for the network's growing slate of original productions. "David has steered Screen Media into impressive growth during his time with the company," noted Ms. Sofko. "He has been intimately involved with every major deal entered by Screen Media and we are confident he will lead CSS Entertainment's distribution successfully through changing landscapes." "The Screen Media distribution business has had great success operating as part of CSS Entertainment since being acquired in 2017," said Mr. Fannon. "I look forward to working with this incredible leadership team to grow our distribution business by increasing the number and quality of TV series and films we acquire and by acquiring valuable content libraries." CSS Entertainment has established a unique and sustainable presence creating original television series as well as short-form videos across a range of topics, funded primarily by sponsors. George Lansbury assumes leadership of this function. Mr. Lansbury brings a successful history of multi-platform programming and production, coming most recently from Fusion Media Group as senior vice president of programming, production and operations. As part of the team that launched FusionTV, Mr. Lansbury was instrumental in the expansion of Fusion Media by increasing distribution and ratings while collectively earning over 75 television and journalism awards. He was also responsible for integrating the Gizmodo Media digital brands, including The Onion, The AV Club, The Root, and Jalopnik, and developed multi-platform programming and editorial opportunities. Prior to FusionTV, Mr. Lansbury worked on original projects with YouTube and was employed by AMC Networks, Cablevision and MTV Networks. "George brings broad, creative management to CSS Entertainment," said Ms. Sofko. "He has a proven track record and unique background in creating engaging and successful content across platforms. As the digital and linear distribution worlds combine, we'll be able to create content that works well in each of these areas." "I'm excited to join the CSS Entertainment leadership team," said Mr. Lansbury. "CSS originals traverse between digital and linear distribution networks. They have already appeared on major networks such as A&E, The CW, CBS, TLC, Discovery Life, Discovery Family and Netflix, and their related content has reached hundreds of millions of digital video views. The changing media landscape offers a great opportunity to build more multi-platform alternatives by utilizing CSS Entertainment's core strengths of quality production and positive storytelling. I look forward to working with this talented team, our sponsors and many others to extend the brand further with relevant premium content and to drive viewers to our own networks in the future." Parishioners from Saint John Vianney Parish in Gladwyne (Montgomery County) presented eight scholarships to current eighth grade students from several parish, regional, and Independence Mission Schools in the City of Philadelphia to attend any Archdiocesan High School for all four years. This presentation is part of the Saint John Vianney Scholars Program. 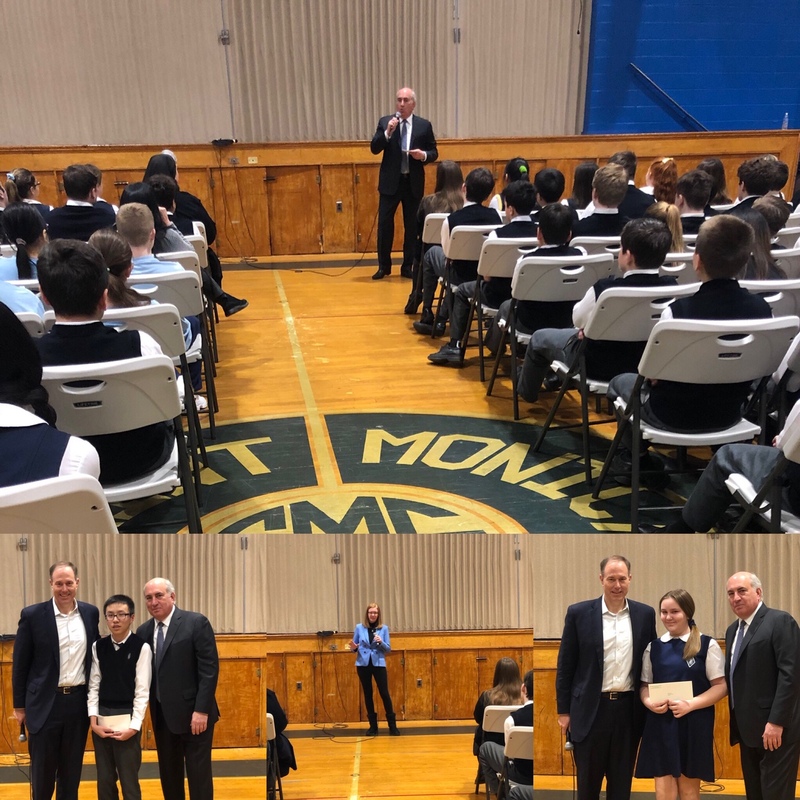 During the presentation, Mr. Michael Greenly, Chairman of the Saint John Vianney Scholars Board addressed students in grades 4-8 to speak about the scholarship program and the opportunity for children to win the award in the future. Cosmo DeNicola, Saint John Vianney Scholars Board member, was also present to honor the scholars and address the students at St Monica’s School in South Philadelphia The content of Cosmo’s talk centered around being a Champion in Life and the view that anything is possible. He delivered an inspiring positive message. “I am so excited to revisit the families and recognize the academic achievements of the students at St Monica’s. They clearly relate to my inner-city upbringing and community experience” stated Cosmo DeNicola. Morgan DeNicola (CDC Program Manager) also participated and explained her family of companies three Passions; World Health, Cultural Diplomacy and Humanitarian recognition. The 2019 scholars come from the following Catholic elementary schools in the city of Philadelphia: Our Lady of Port Richmond; Immaculate Heart of Mary; Holy Innocents Area Catholic Elementary School; Holy Redeemer Chinese Catholic School; Saint Monica; St. George School, and Our Mother of Consolation. Since its official launch in 2012, the program has recognized 52 students with scholarships. The mission of the Saint John Vianney Scholars Program is to provide financial and academic support to children who are currently attending a Philadelphia parish school and qualify to sit for the Saint John Neumann exam. For more information about the Saint John Vianney Scholars Program please contact Mr. Michael Greenly at 215-519-6523 or visit http://www.sjvscholars.com/index.html. Cosmo DeNicola and Leigh Steinberg of Steinberg Sports and Entertainment, announced the recipient of the 2019 Steinberg DeNicola Humanitarian award being presented at the 82nd Annual Maxwell Football Gala. The Humanitarian award is given to a representative of the NFL that has committed themselves to doing good in their community. 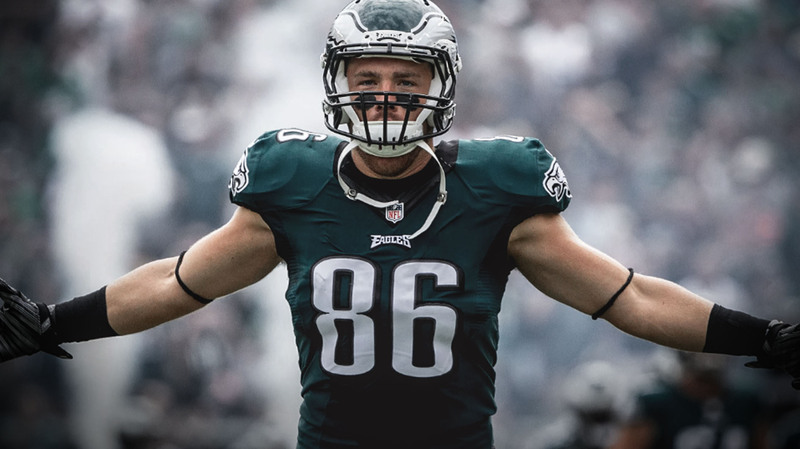 The NFL Player recipient is chosen for 2019 is Philadelphia Eagles Tight End, Zach Ertz. Zach, alongside his wife Julie, founded the Ertz Family Foundation in 2018. The Ertz Family foundation focuses on creating sports opportunities for those who lack them, providing educational opportunities for youth of all ages and restoring a sense of hope and opportunity for families who need it most. “Some people see, many hear, few act. Zach and his family foundation touch people with their caring and loving actions,” stated Cosmo DeNicola. The 2019 winner will be honored Friday, March 8th, 2019 at the 82nd Maxwell Club National Awards Gala, which will be held at the Tropicana Casino Resort in Atlantic City, NJ. Also receiving awards at this event will be: Patrick Mahomes- Kansas City Chiefs (The Bert Bell NFL Player of the Year Award), Andy Reid- Kansas City Chiefs (Earl “Greasy” Neale Award), Tua Tagovailoa- Alabama (Maxwell Award), Josh Allen- Kentucky (Chuck Bednarik Award), Bob Surace - Princeton University (Andy Talley Tri-State Coach of the Year Award), John Lovett- Princeton University (Brian Westbrook Tri-State Player of the Year Award), Ron Jaworski- Philadelphia Eagles & ESPN ( Francis Reds Bagnell Award), Jeff Monken- Army-West Point (George Munger College Coach of the Year Award) and MFC/Adidas National High School Players of the Year Bru McCoy (Mater Dei HS - Texas) and Nolan Smith (IMG Academy - Georgia). Tickets for the Maxwell Football Club National Awards Gala are available for purchase on the Club's website https://www.maxwellfootballclub.org/product/national-awards-individual-ticket or by calling 215-643-3833. Questions concerning any of the Maxwell Football Club's awards or programs can be directed to MFC Executive Director Mark Wolpert at info@maxwellfootballclub.org. The Arena Football League (AFL) officially announces that it is launching a team in Columbus, Ohio, to begin play in Spring of 2019. The team will play its home games at Nationwide Arena, and will play a total of 12 games during the regular season. Previously during its five years as the Columbus Destroyers (2004-2008), the team established a rich history and a loyal fan base averaging over 14,000 fans per game. Beyond its attraction to fans, the team received widespread support from the surrounding business community. A main highlight of the previous team’s history in Columbus includes a trip to the ArenaBowl in 2007, when the team was led by quarterback Matt Nagy, now Head Coach of the Chicago Bears, who was recently named the 2018 NFL Coach of the Year. The team re-joins the League at a time when new and high-tech innovations are implemented, keeping the League as one that is future-oriented. 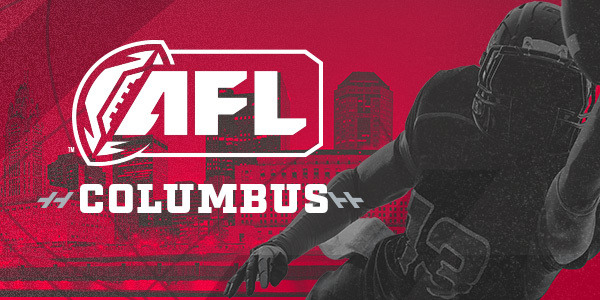 “We are thrilled to welcome Columbus to the Arena Football League, a league that is poised for significant growth and is uniquely positioned to deliver a more exciting, engaging football game with opportunities for betting, gaming and fantasy integration,” said Ted Leonsis, Chairman and CEO of Monumental Sports & Entertainment and owner of the AFL Baltimore Brigade and Washington Valor. The addition of this team to the Arena Football League in a market as strong as Columbus enables the League to continue to grow, as the team is expected to play high-quality football that is competitive, engaging and fun for all in attendance. The team name will be announced in the coming weeks, as will announcements regarding coaching staff. Additionally, the League will release its official 2019 schedule next week. Season ticket plans are on sale now. To become a season ticket holder, fans may go to www.columbusafl.com and place a deposit. Seating preferences will be determined by the order in which deposits are received. Fans can follow the Columbus team on Twitter, Instagram and Facebook (all @AFLColumbus). Maxwell Football Club President, Mark Dianno, announced that Kansas City Chiefs QB Patrick Mahomes has been selected as the winner of the 60th Bert Bell Professional Plater of the Year Award, and that Chief's Andy Reid has been chosen as the winner of the 30th Greasy Neale Professional Coach of the Year Award. In only his second NFL season, Mahomes evolved into one of the league's most dynamic quarterbacks as he finished the regular season with 5,097 passing yards, 50 touchdowns and 12 interceptions to join Peyton Manning as the only players in NFL history to throw for at least 5,000 yards and 50 touchdowns in a single season. In addition to his Bert Bell honor, Mahomes has also been named the 2018 Pro Football Writers of America NFL MVP and a First-Team All-Pro. He led the Chiefs to an AFC West title and a berth in the AFC Championship Game for the first time since 1993. Mahomes joins Hall of Fame RB Earl Campbell (1979) and Philadelphia Eagle's QB Carson Wentz (2018) as the only players to have won the Bert Bell Award in their second NFL season. Reid has been named the Greasy Neal Professional Coach of the Year for a record setting fourth time, having previously won the award in 2000, 2002 and 2010 as the coach of the Philadelphia Eagles. Reid completed his sixth year as the Chiefs head coach with a 12-4 record, a third straight AFC West crown and a fourth consecutive playoff appearance, ultimately falling to the New England Patriots in overtime in the AFC Championship Game. Reid worked closely with Mahomes, helping hi master an extremely complicated offense and allowing him to transition from a rookie to a franchise quarter back in only two seasons. Mahoems and Reid will be honored Friday March 8, 2019 at the 82nd Maxwell Football Club National Awards Gala, which will be held at the Tropicana Casino & Resort in Atlantic City, NJ. Also receiving awards at the event will be Tua Tagovailoa- Alabama (Maxwell Award), Josh Allen- Kentucky (Chuck Bednarik Award), Bob Surace - Princeton University (Andy Talley Tri-State Coach of the Year Award), John Lovett- Princeton University (Brian Westbrook Tri-State Player of the Year Award), Ron Jaworski- Philadelphia Eagles & ESPN ( Francis Reds Bagnell Award), Jeff Monken- Army-West Point (George Munger College Coach of the Year Award) and MFC/adidas National High School Players of the Year Bru McCoy (Mater Dei HS - Texas) and Nolan Smith (IMG Academy - Georgia). The Club will be announcing additional winners of special awards later this week. Michael Carter, has been selected as an award recipient for The Philadelphia Inquirer’s 2019 Influencer of Finance Awards. Come celebrate Finance Industry Leaders on Thursday, February 28th, at the Crystal Tea Room in Philadelphia, PA.
As a winner, Michael was selected by Inquirer readers and evaluated by expert panel judges who felt he shaped, changed, and transformed the financial industry. From the countless nominations Michael was selected as part of 29 winners who will be honored at an awards ceremony, as well as profiled in a special section on the Sunday Inquirer which will reach nearly 1 million readers. The program will feature keynote speaker, Patrick T. Harker, President and CEO at the Federal Reserve Bank of Philadelphia. The program will include a thought-provoking panel discussion highlighting FinTech (Financial Technology), an emerging industry that uses innovative technology that improves traditional activities in finance and delivery of finance. The panel will be led by Erin Arvedlund, Financial Columnist, The Philadelphia Inquirer. Julapa Jagtiani, Senior Special Advisor, Federal Reserve Bank of Philadelphia. HomeAway, A+E Networks and Chicken Soup for the Soul Entertainment Announce Season 2 Premiere of "Vacation Rental Potential"
HomeAway®, the world leader in vacation rentals, A+E Networks and Chicken Soup for the Soul Entertainment, Inc. ("CSS Entertainment") (Nasdaq: CSSE), a growing media company today announced the second season of Vacation Rental Potential will premiere January 31st on FYI as part of the network's Home.Made enthusiast programming block. Ten new, half-hour episodes will also encore on A&E Saturday mornings beginning February 2nd. 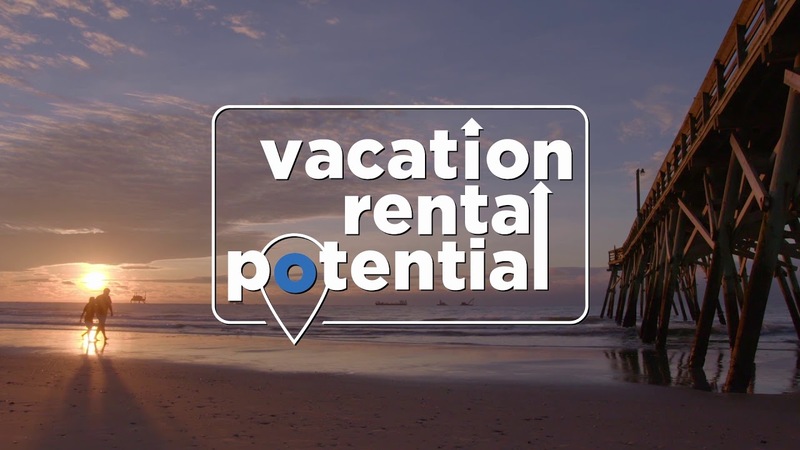 The first season of Vacation Rental Potential premiered in December of 2017. The series is hosted by home renovation and interior design expert Holly Baker who offers insight to potential homebuyers on how to become the owner of a vacation home of their dreams through vacation rental. Each episode showcases tips and best practices for choosing the perfect vacation home, managing it effectively and creating unforgettable guest experiences for travelers. The series also features advice for impressing guests and earning more rental revenue given by HomeAway Premier Partners, experienced vacation home owners and property managers with a proven track record of success on HomeAway. The series helps homebuyers make their dream of owning a vacation home a reality. "Vacation Rental Potential has been an amazing way to illustrate the rewarding benefits of owning a vacation rental and making it a unique and welcoming accommodation option for travelers and their families," said Judy Kay, senior vice president of strategy at HomeAway. "This season, we visit 10 new locations to highlight the popularity and investment potential of owning vacation homes in these beautiful destinations." The second season of the show will explore popular travel destinations across the U.S., including Atlanta, Seattle, Maui, Hawaii, Palm Springs, CA and Galveston, TX. "The renewal of Vacation Rental Potential demonstrates our success in creating entertaining content with brand partners like HomeAway," said William J. Rouhana, Jr., chairman and chief executive officer. "The series showcases our ability to seamlessly integrate exceptional storytelling with HomeAway's commitment to connecting travelers with the people and places they love." The first season of the series was nominated for a Realscreen award in the Digital and Branded Content: Brand-Funded Content category as well as a Cynopsis award in the Reality Series [Real Estate] category. "Vacation Rental Potential strikes the perfect balance of relatable storytelling and actionable insights towards a growing trend in real estate," said Christian Murphy, Head of Enthusiast Brands, A+E Networks. "We are incredibly proud of this original series and are thrilled to launch season two on our Home.Made enthusiast programming block." View episodes of Vacation Rental Potential season one on www.homeaway.com/vrp.